Eric Heisserer is a man about the town of Hollywood. He's a writer and director known for The Thing (2011), Final Destination 5 (2011), A Nightmare on Elm Street (2010) and Hours (2013). That's not enough for him to be known for though, as he's now turning his eye towards comics. 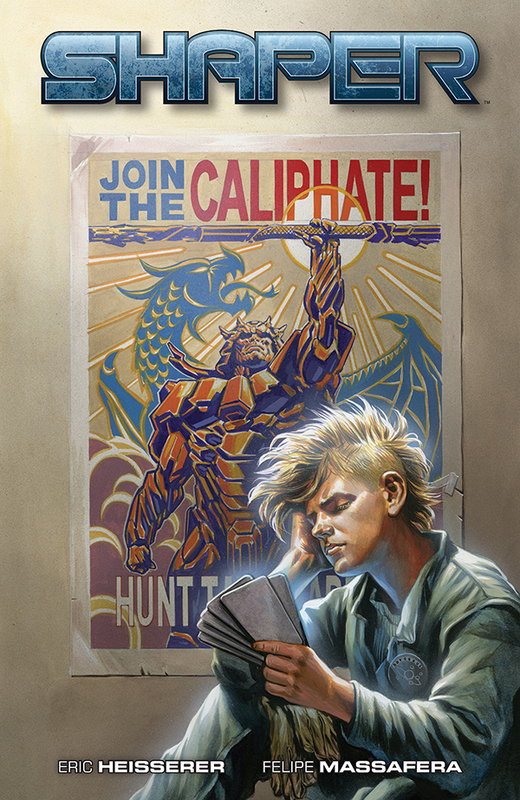 In a partnership with Dark Horse Comics, Heisserer is working with Felipe Massafera on Shaper. Shaper #1 (of 5) is on sale March 18 in comic shops everywhere. Full press release below. HOLLYWOOD’S HEISSERER TO DEBUT COMIC SERIES 'SHAPER'! FOR IMMEDIATE RELEASE: MILWAUKIE, OR—Screenwriter Eric Heisserer brings his cinematic vision to comics in a thrilling new miniseries titled Shaper. A writer and director known for The Thing (2011), Final Destination 5 (2011), A Nightmare on Elm Street(2010), and Hours (2013), Eric Heisserer tells a timeless tale for a new generation in the tradition of Arthurian legends and Star Wars. With artwork by Felipe Massafera (Green Lantern: Emerald Warriors, Captain Midnight), Shaper hits the ground running in a no-holds-barred sci-fi adventure! Shaper #1 (of 5) is on sale March 18 in comic shops everywhere. Preorder your copy today!